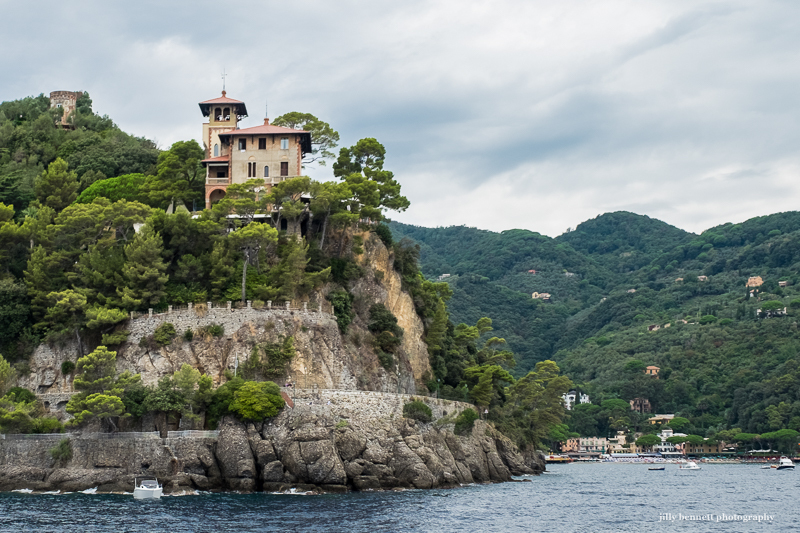 A room with a view ... as you enter the port of Portofino, in Italy. Might be nice to live in this house, don't you think! Une chambre avec vue ... quand vous entrez dans le port de Portofino, en Italie. Il doit être agréable de vivre dans cette maison, n'est ce pas! Imagine being the mailman and having to go up there five days a week. No danger of flooding but be sure the waterside fences are well maintained. I think I'd like it very much. OH YES,I could live with a view like that one! Jilly, how did you survive Saturday's torrential rains? The region received twice the usual October rainfall in 2 hours. 17 dead. Nathalie, thanks. Briefly, all well here except the road to Gorbio, below the poubelles, fell in yesterday around 11 a.m. Massive landslide. So the main road to Menton will be cut off for around 10 days we are told but there are roundabout routes to Menton, which take longer but nothing like the tragedies along the coast in Cannes and so on. Totally horrific.